Home » Parenthood » Could you be a mumpreneur? If you’ve got a brilliant business idea, or you’ve started up and want some tips and advice on taking your business to the next level, you’ve come to the right place! Shattering the glass ceiling with a changing bag over your shoulder is no longer limited to the realms of fantasy, and making it as your own boss has become a viable option for record numbers of women. Annabel Karmel has met countless women who have used their entrepreneurial spirit (and military multitasking skills) to transform their passions into thriving businesses. Could you be one of them? 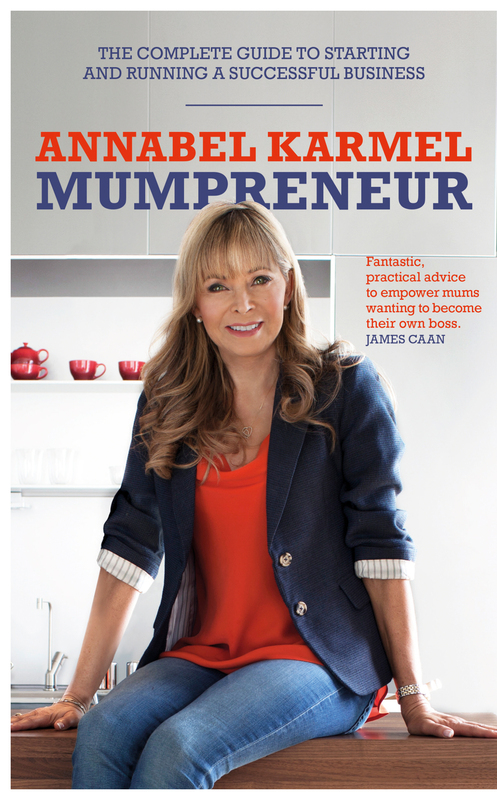 Here, you’ll find tips, advice and plenty of inspiring stories to help you make it as a parent in business – and don’t forget to check out Annabel’s book, Mumpreneur. After building her business empire from scratch at her kitchen table, Annabel has grown to become one of the UK’s most trusted, influential female entrepreneurs with 40 books which have sold over 4 million copies worldwide, supermarket food ranges, weaning equipment, healthy snacks and smartphone apps. Now in her new book Mumpreneur: The Complete Guide to Starting and Running a Successful Business Annabel uses her wealth of experience in juggling the demands of motherhood with building a thriving enterprise to help equip other mums with the confidence, skills and tools to set up their own businesses. As well as sharing her own incredible story, Annabel offers the combined wisdom of some of the UK’s most successful women, including Chrissie Rucker MBE, founder of The White Company, Wahaca’s Thomasina Miers, Jacqueline Gold of Ann Summers and Nails Inc founder Thea Green. Together they form Annabel’s Kitchen Cabinet – a resourceful and inspirational team brimming with fresh ideas, insights and practical advice to give other mums the confidence to know where to start and launch forth. Mumpreneur is the ultimate guide to start-up success. From believing in yourself and your idea, to finding a niche and taking on investment, each chapter embraces a different ‘ingredient’ for success to help mum-based enterprises set-up, grow and flourish.